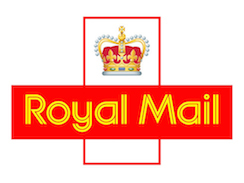 Royal Mail wanted to help newly appointed managers acquire the skills they needed to be successful in their new posts. The nature of the business meant that improving overall performance depended on the effectiveness of hundreds of small, dispersed teams across the UK. Top-down instruction and supervision was not a possibility. Success at team level would depend on making sure frontline managers had the appropriate management skills and confidence to get the very best from their people. With an excellent track record in providing bespoke, on-the-job training to staff in large companies, Middlesex was the obvious academic partner to engage. A Skills Development Partnership was formed and a tailored higher education certificate was developed, with the aim of empowering first line managers to become effective, confident and influential team leaders. Programme modules include Managing Yourself, Managing Individuals, Managing Teams and Managing Commercially. The programme is a combination of workshops and classroom sessions held at Royal Mail's own tuition centre. Sessions are led by Royal Mail in-house trainers and specialist Middlesex tutors. Group sessions promote a positive shared experience and in-house trainers develop the knowledge and skills they need to become effective learning facilitators. One of the key benefits of Middlesex's work-based learning approach is that it creates a culture of self-directed learning which cascades throughout the organisation. The on-going benefit to Royal Mail of the training programmes will extend far beyond those staff who participated in the training. "Employees will benefit personally and professionally, while Royal Mail as a company will benefit from a longer-term shift in management style. The partnership develops analysis, reflection and critical thinking skills which participants can confidently apply to any given situation."